A body lies broken on the floor of a Silversmith’s forge. Who is this man, who killed him and what manner of life flashes before his eyes in the last moments before death claims him…? This short story was originally published in the Games Day Anthology 2011/2012, though it’s subsequently been republished in Shadows of Treachery. 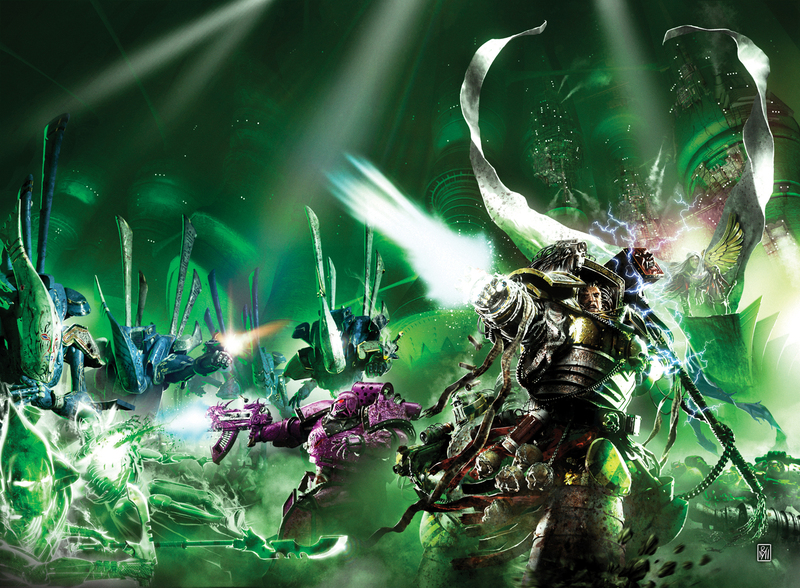 Aside from the odd piece of colour text in White Dwarf of a Codex or Army Book, telling a story in the First Person was something I hadn’t had much experience in. I’d just finished reading Mohsin Hasad’s novel, The Reluctant Fundamentalist, and had liked the tone of that book, so decided to see if it was something I was comfortable using. Starting with the death of the character (not a spoiler, as it’s in the title…) and him looking back over the path that had brought him this far was a device I came up with even before I knew what the story was going to be. In fact, I had the title before I anything else. I liked the idea of going back and touching on bits of the original trilogy, weaving a little tale into the fabric of what had gone before. Nothing that would break your enjoyment of the main story if you didn’t get to read this, but something that would add a new little wrinkle. And, frankly, any excuse to tell stories set in the era of pre-Unity or on Terra are always welcome. I got the chance to add a thin extra layer onto both the society and culture of Terra, the Iron Hands and the Remembrancers, as well as answering a question that had always nagged at me. Where did the Luna Wolves get their lodge medals from? A trivial question, I agree, but writers are always poring over the tiny details and wondering how, what, why and where… Someone had to have made them, and while it could have been a techmarine or Legion artificer, I thought it would be more interesting to tell the story of what happens to a human who briefly touches the fire that is the heart of a Legion secret. 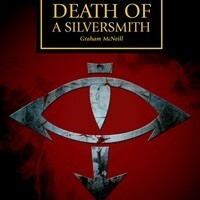 Who it is that kills the Silversmith?